It's still winter, according to a furry and hungry groundhog. I'm sorry about that, but you know, with fashion, you don't have to look like the weather. 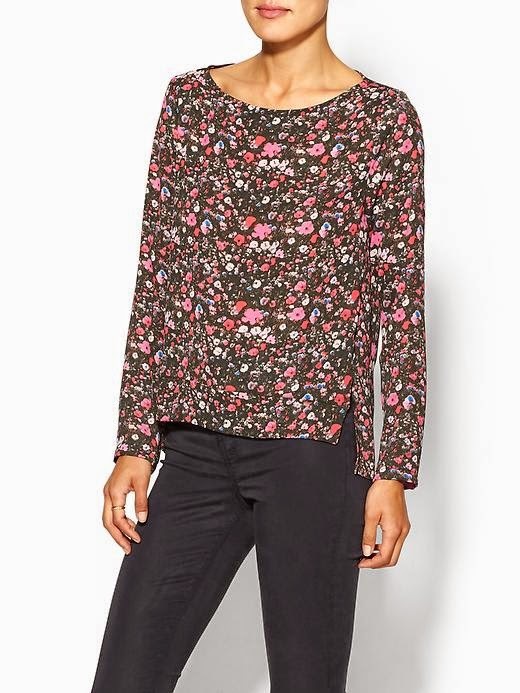 Let's take florals for instance; yes a lovely floral dress is perfect for mid-June, but you can also wear these blossoms in a long sleeve version in the winter. 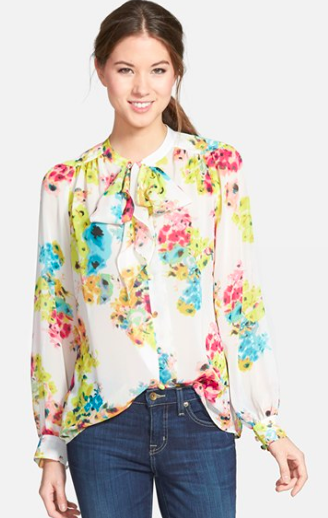 Take this watercolor inspired top. It brings so much warmth to a pair of jeans, a pencil skirt or layered under a vneck sweater. 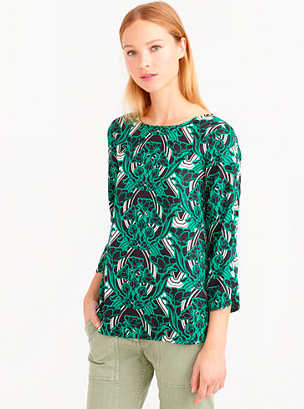 RIP Piperlime, so grab this top while you can. I love the micro print with rosy hues. A work ready scoop neck that is can handle a long delicate necklace or something a bit heavier. How about some jade to inject into your closet? 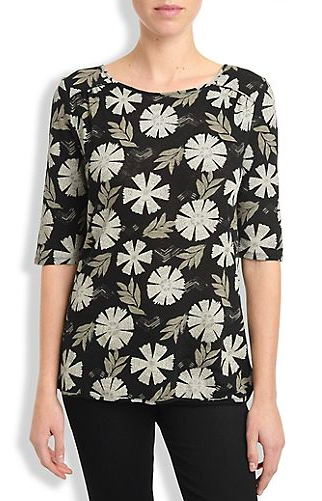 This top is great as is with it's big pattern or layer with a button down for a work ready wear. Fear not warm weather lovers, spring is coming, but in the meantime, enjoy some florals that can take the cold.